Here are a few major crime prevention methods used by law enforcement agencies and policy planners in cities and counties. Means such as guards, alarms and security cameras deter criminals from engaging in illegal activity. The fear of being watched and monitored will make offenders go to other places that are not covered by surveillance devices. High security buildings and even residential neighborhood use these devices and report major decrease in crime rate. Surveillance does not have to include hi-tech equipment. Street light can do a wonderful job as well. Practice has shown that in well lit places there are less burglars and less drug dealers. 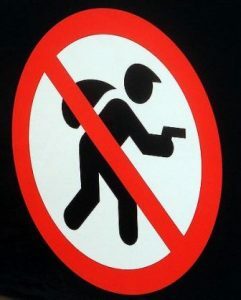 Criminals will be deterred from committing an offense in an area that denies them a quick escaping route. A clear example is a road with speed bumps. No one will rob a bank if he cannot drive away quickly. Some neighborhoods hire private security companies which build road blocks monitoring vehicles upon entering and leaving a designated area.